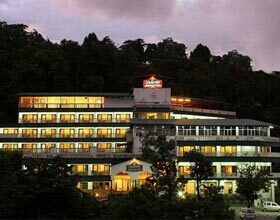 Tullahmore Suites Mussoorie is a heritage bungalow with rich history located on Harnam Singh Road. Just 200 meters from famous Lal Bahadur Academy, this colonial property is cradled on a mountain mound and offers splendid panoramic vistas of the valley. 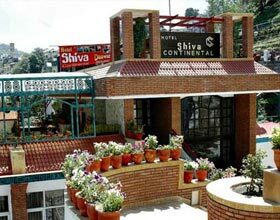 Amiable hospitality, immaculate services and flawless staff infused with awe-inspiring scenic beauty of the serene valleys are relished by guests during their abode. Repose beside the live fireplace or adore the array of recreational activities including pool, carom and badminton. 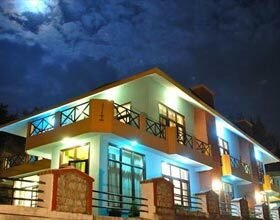 Families and corporate prefer to reserve the entire bungalow to enjoy the splendid charm of nature during their visit to queen of hills, Mussoorie. The Tullahmore arranges special thrilling excursions on request including mountain biking. Mighty green lawns with enchanting shrubs and plantations at this luxury property are picture perfect. The elegantly designed rooms of Tullahmore Suites are a nirvana for guests desiring to snuggle down in the tranquil ambience away from hustles and bustles of the city. These British-style rooms are blended with modern amenities and attached baths. Guests have gastronomical delight with warm homely aura during their lounge in Tullahmore Suites Mussoorie. The Dining Hall is a spacious dining venue overlooking the lush green gardens serving scrumptious delicacies.